We have already covered a lot of equipment that is meant to improve your gameplay performance such as microphones, headphones, mice, keyboards, some hardware and more. The time has come to look at gaming chairs. 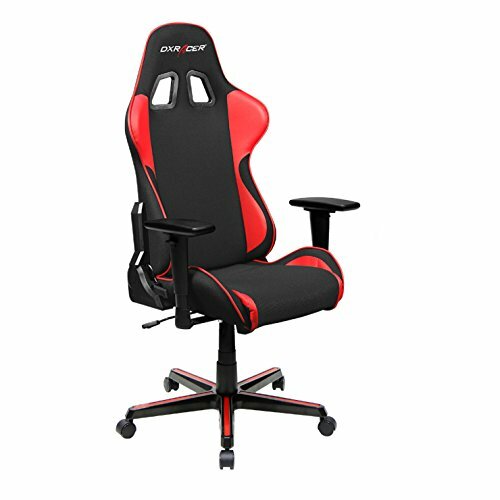 So what’s the most important for you when it comes to gaming chair? Is it an absolute comfort when sitting, or perhaps some stylish gaming look? In this blog we will show couple of examples of gaming chairs that do not cost you your entire life savings. Many of the chairs we have described below are clearly visible on many channels of people from YouTube, most often gamers. This chair model is available in many versions and colours, but one things that is common with those chairs is that they are cheap. Even if you can’t find this exact model in your country, you may find similar one, with nearly identical construction in your country. 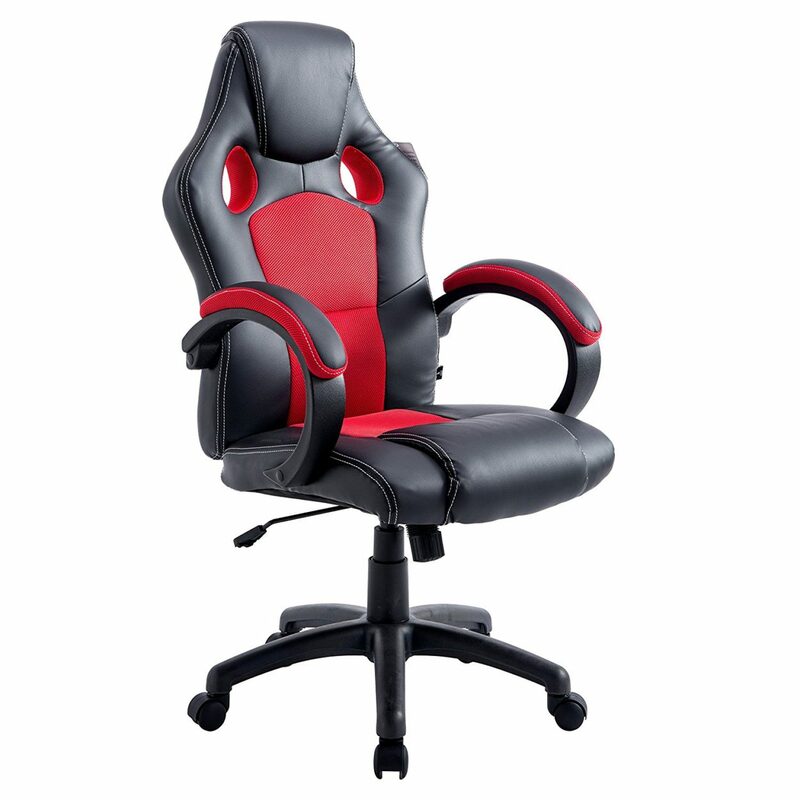 Just like on the picture, this gaming chair has quite tall backrest with 2 air vents and mesh fabric trimmings. The leather in comparison to the chair’s price. Either way, it is very easy to clean stains. Parts of the chair are customizable – chair allows for 360 degree swivel, tilting, upright lock and also allows to adjust the height. However the chair has its issues – Armrest is not customizable due to solid construction – it might be not too comfortable in certain situations. While the leather can be easily cleaned, the fabric stains might cause much bigger problem. Stains might be especially visible if fabric is in white colour. Either way, this chair is worth recommendation, especially due to the fact that it’s very cheap, solid and comfortable. If you are more into Racing Style chairs, this could be a good choice for you. This model made of PU leather gives you great sense of comfortability and easy to clean material in case you like to eat while sitting on it. As with other chairs, this model also allows 360 degree turns, but what’s interesting is that the chair allows 90-180 degree tilt, allowing you to pretty much lie down on it. You can also adjust height and control tension. What’s more the pillows are very comfortable, however if you like you may remove them. The only main problem we have with it is lack of customizable arm rest height, despite it looking like it allows to do so. The first non-racing series chair. Those chairs are usually made to provide maximum comfort rather than “cool”appearance. This chair does exactly that. It looks simple but is very comfortable. Leather seat has a really nice feel to it, is additionally equipped with mesh siding fabric that allows the construction to “breathe”. Of course the seat has adjustable height and can be tilted with additional tilt block. Arm rest is also adjustable. The back rest is made of mesh fabric which allows the construction to adjust to your back, as well as provides perfect breathability. Two biggest drawbacks of this chair is lack of head rest as well as general weak durability, especially if you have animals such as cats that might easily tear the mesh. DXRacer does really take care of the quality of the materials it is made from. Not only does it provide sense of extreme comfort but it also is very stylish, made especially for gamers to improve their overall experience. 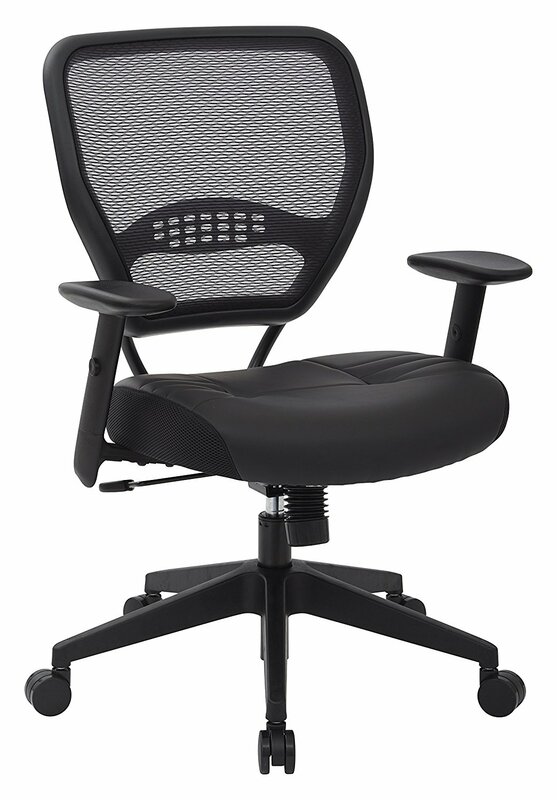 The backrest is longer than in most chair models – this helps support your entire back easily. Chair is made of breathable material which is a strong Mesh with PU cover. Unlike some other models, the mesh fabric is very durable. Arm rest is fully adjustable and has a very soft feel to it. Additionally, it is possible to comfortably tilt the backrest so you can pretty much lie and get some rest in a middle of your gaming session. 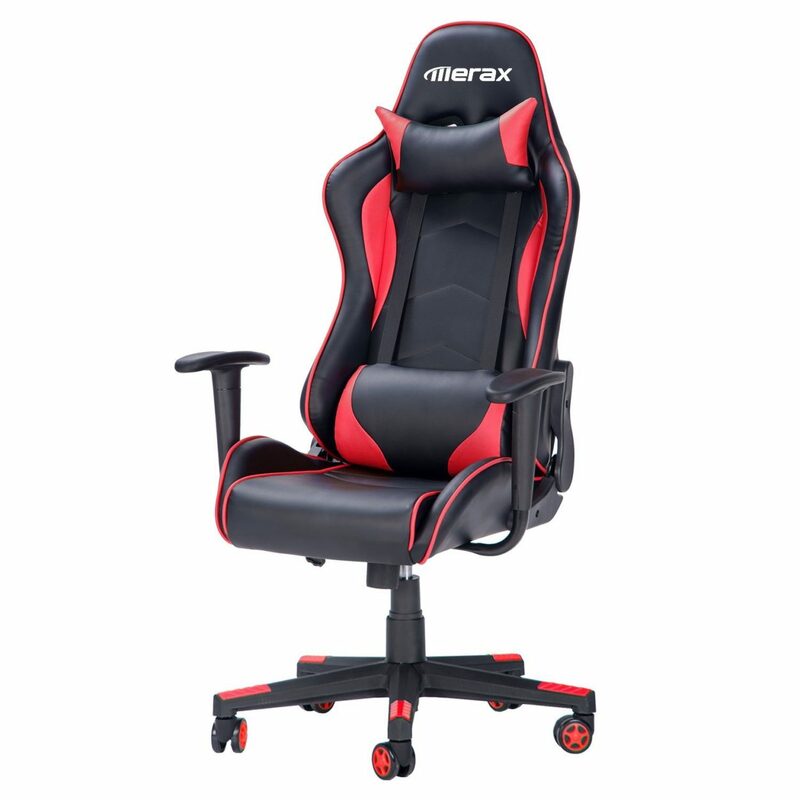 It is worth mentioning that this chair is very often used by esports players, YouTube content creators as well as Twitch live streamers. If someone can say something wrong about this chair, it would most likely be the fact that it’s not made of leather – however, it all depends on what person prefers in a first place. For the last model on the list, lets take something from top shelf. This chair is made to be a part of your, making you not even think twice before you say “Yeah, that’s totally comfortable”. What’s more, even after hours of sitting you will still be thinking how comfortable it is. Even though it’s an office chair, it is absolutely great for gamers, despite its look. The amount of customization in this model is so broad that it would be hard to believe that someone finds this chair uncomfortable. It is possible to adjust back angle into 3 positions with tilt-lock. 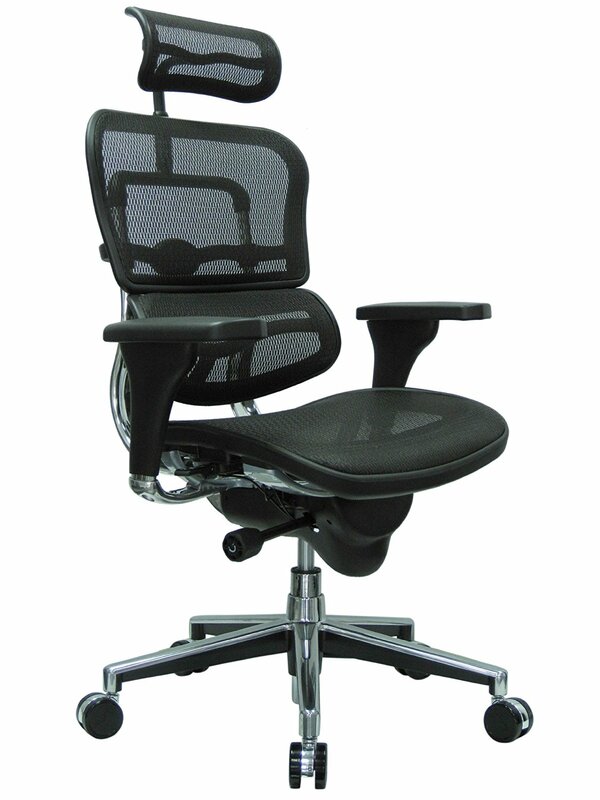 The sitting height can be quickly changed with pneumatic cylinder, and of course armrest also can be adjusted. Every single part, ie. Back, seat cushion and headrest can be adjusted for even the most picky users. The obvious drawback of this chair is that if you want more stylization in your room, this chair will fail to do so (but I believe it only concerns gamers). Otherwise this is a perfect chair, that everyone will find comfortable. And what are chairs all about if not comfort? What do you think about those models? Does any of you have one of these? Let us know what you think about them in the comment section below! Follow our Mirillis blog for more publications! Out of 5 chairs you’ve mentioned only one is worth any money. Rest of them can be thrown to trash. Office chairs for gamers LMAO.